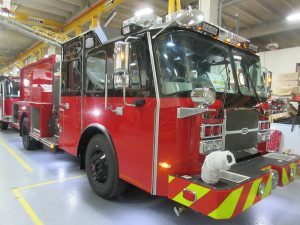 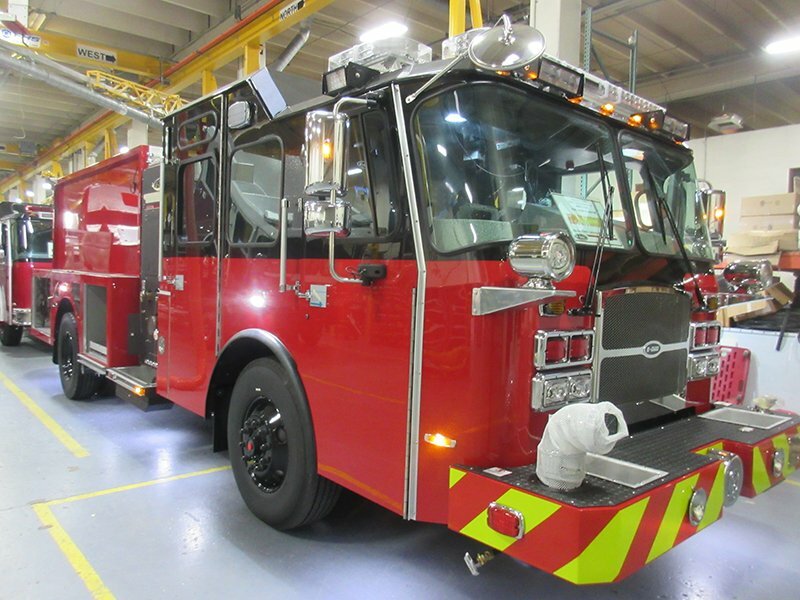 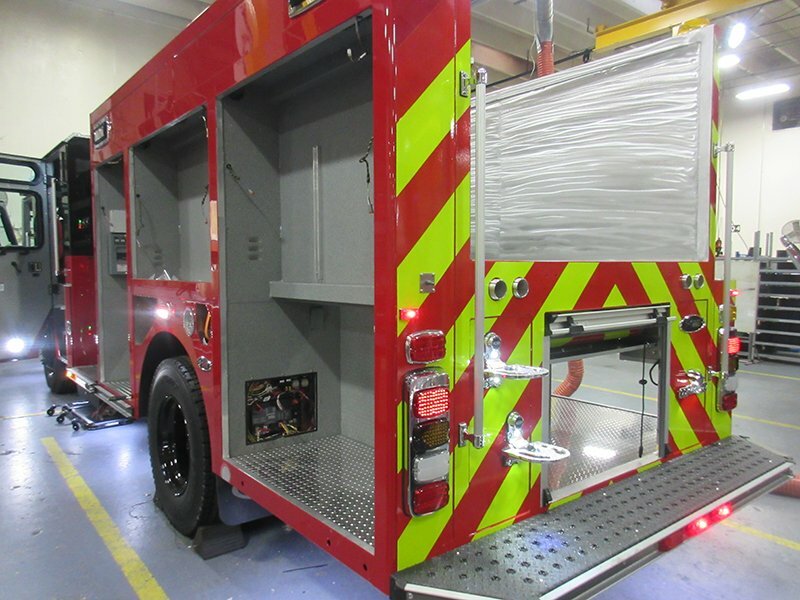 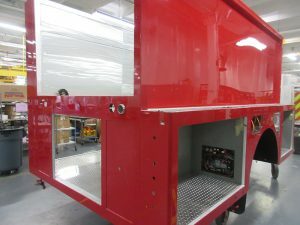 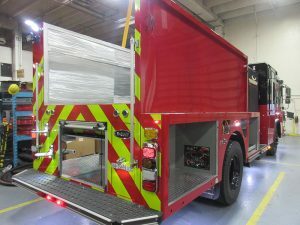 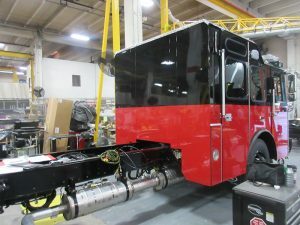 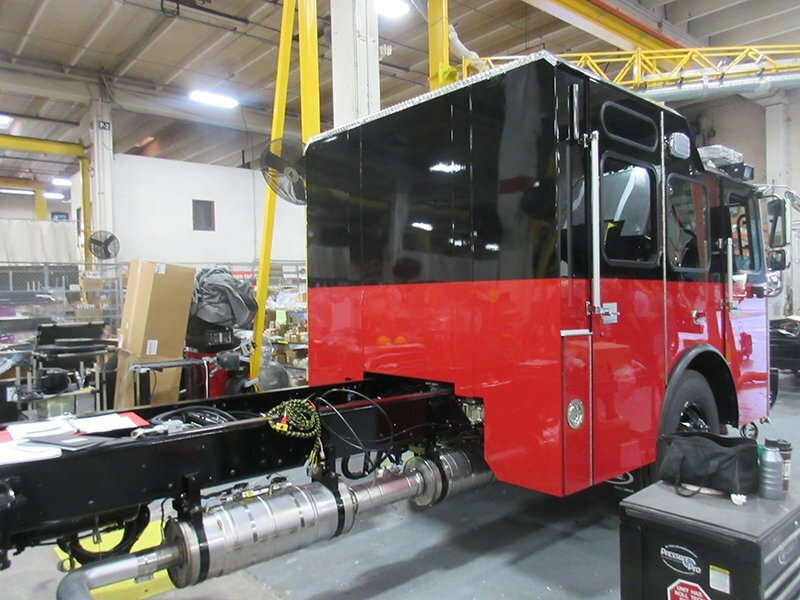 Significant progress has been made on the build of Engine 47-1 by E-One Fire Trucks. 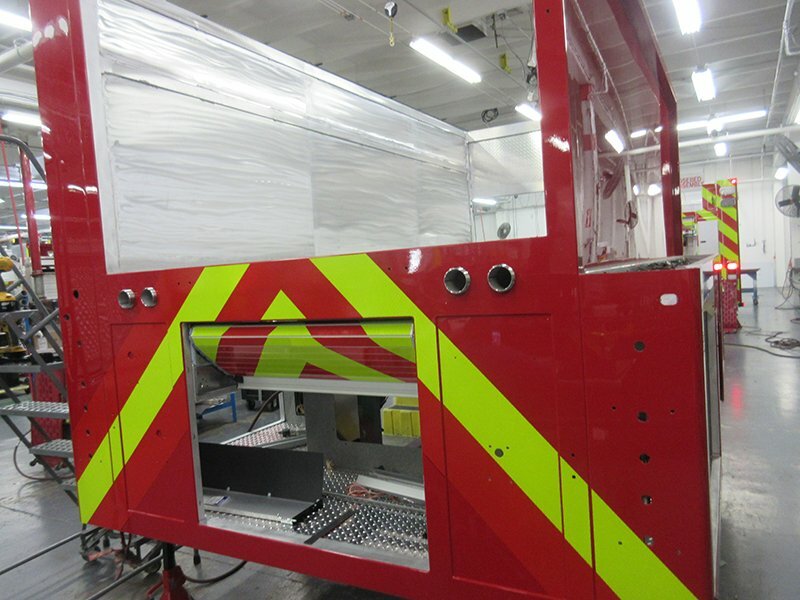 The body was painted and the chevron was added. 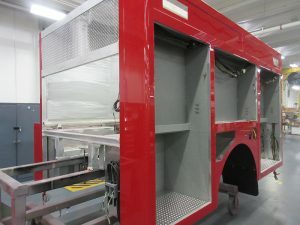 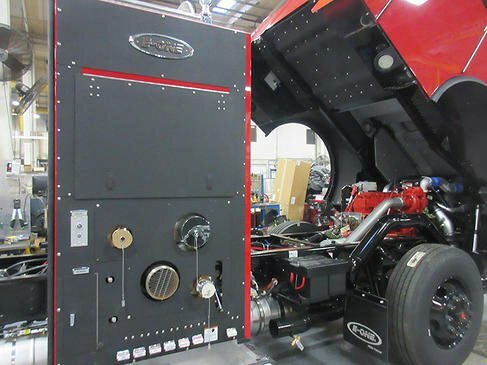 Next t he pump module was loaded as the chassis was prepped and by midweek this week, two parts of the truck became one! 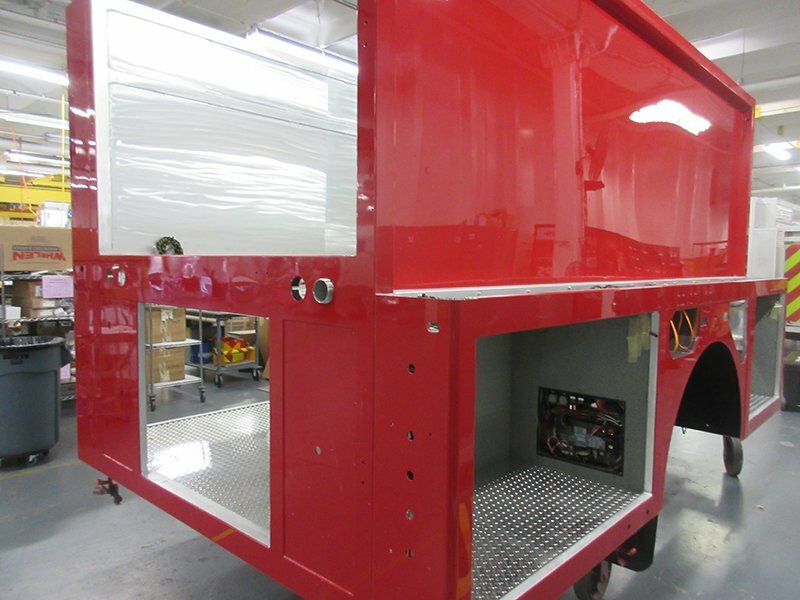 We are excited to take delivery of this truck soon!